Used to be water bottles. The Post Consumer Recycled PET Duffel from Goodhope bags could likely use a more catchy name. It does, however, look a lot better than it sounds, and could easily slip into a gym or college promotions program, on looks alone. 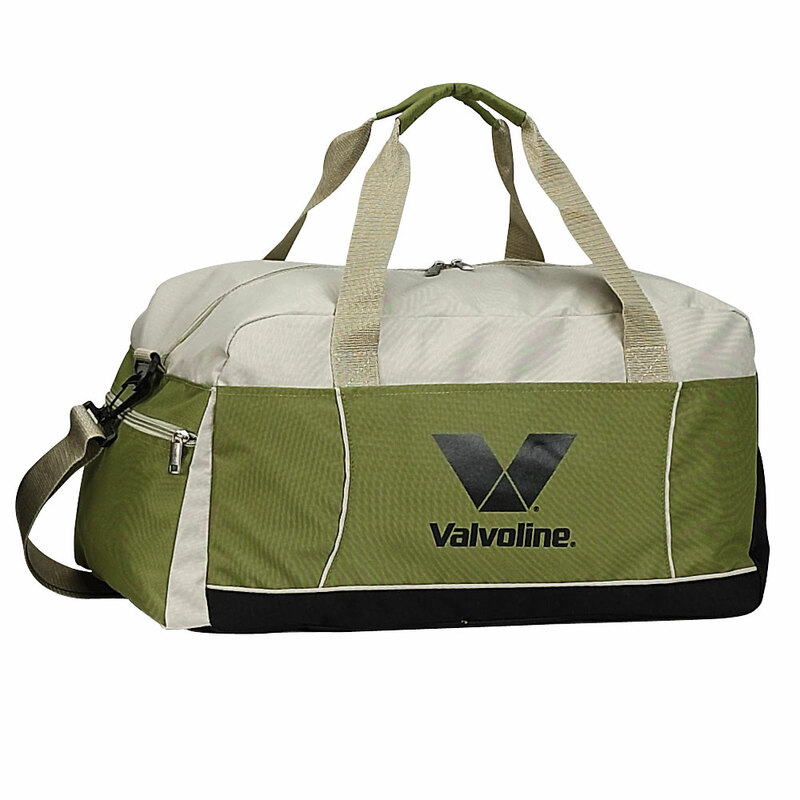 Made with recycled 52% PET material, and in this stylish two-tone design in green and tan (there is also an all black version), the Post Consumer Recycled PET Duffel, includes a couple of nice touches, like a generous sized front pocket and side zippered pocket. The overall size is 19″L x 10 ½”H x 10″W, which provides a spacious interior, and the Post Consumer Recycled PET Duffel come with a fabric-wrapped handles and adjustable shoulder strap. So, lets say that basically 52% of this bag used to be water bottles. But, it is a really good looking bag, and not something that screams “I am recycled”, so if the recycled pedigree is important to your branding, we suggest incorporating a recycled theme into your artwork for the bag, or even adding a hag-tag with a message, explaining exactly why this bag fro your audience. If you are interested in the Post Consumer Recycled PET Duffel to promote your own business, or to get a sample, email info@proformagreen.com for information and pricing.